Suit up and get ready to fly. 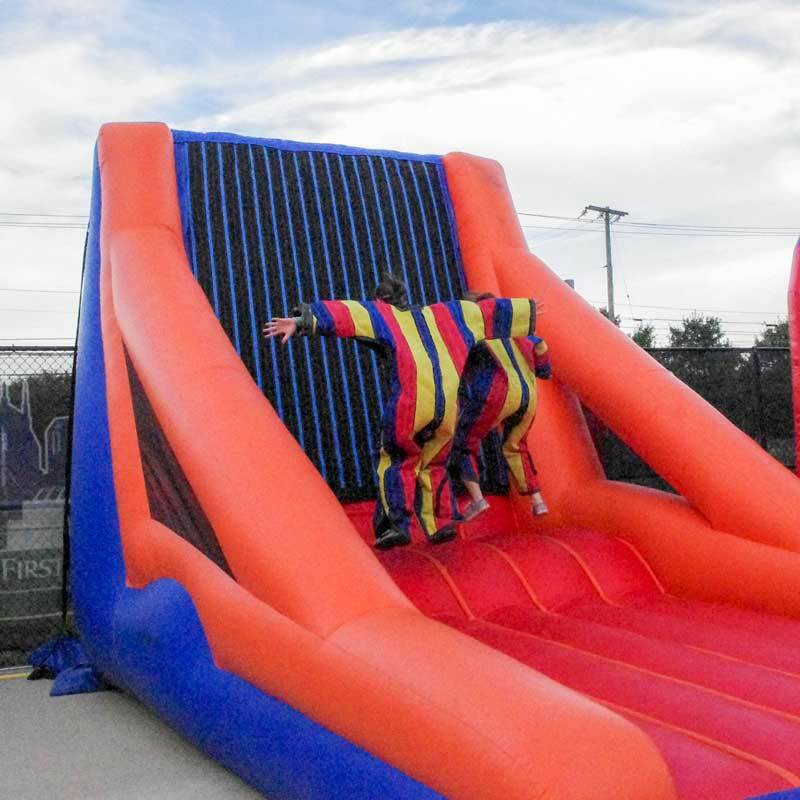 Put one of our two velcro suits and take a running start to jump high into the air and propel yourself to the inflatable sticky wall. The higher you are, the more fun you will have and the crowd will love it. Ages 10 and up.